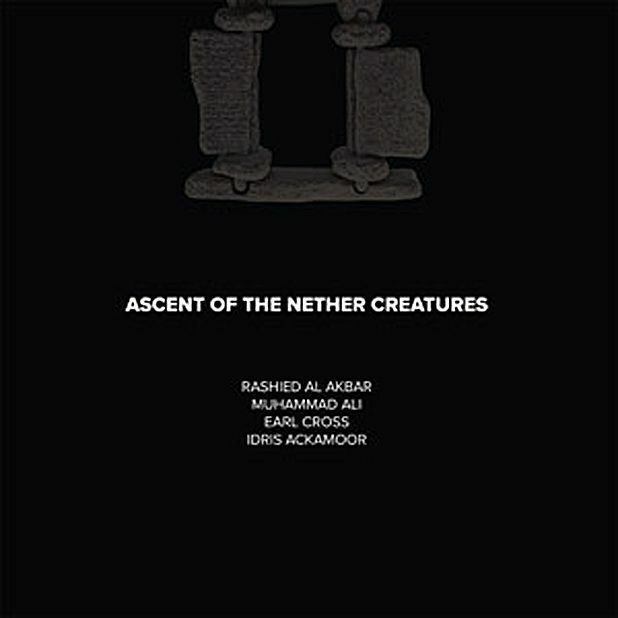 Taped in the Netherlands in 1980, Ascent of the Nether Creatures is a thrilling live set from four undersung Loft-era musicians. Trumpeter Earl Cross played on Noah Howard's classic Black Art, but his work as leader has been under-documented. He's on magnificent form here, taking hip bop themes like 'Earl's Tune' and pushing them into knotty realms of abstraction. The long title track follows the Art Ensemble of Chicago deep into the forest at night, all chittering insects and skreeing birds, before exploding in a miasma of incredible free drumming from Muhammad Ali. '4 for 1' alternates between intense bursts of simultaneity and short solo shots, with Ackamoor's high-velocity trills and Cross's spiralling flights leaving your brain spinning before Ali mashes it completely. The raw fidelity only adds to the excitement, with the music working itself into a blurry ecstasy as the small crowd whoops and cheers.